This is a whirlwind of a year for you, the Monkey, with many ups and downs. The year of the Pig could bring some money making opportunities but you will have to work hard to make them work. As a Monkey, you’re impatient, impulsive, full of energy, initiative and really, rather naughty. You can sometimes be too clever for your own good and you will need to rein in your wily tendencies this year, which brings many adventures but also the need for some damage control. it’s up to you if you want to take your chances this year and put in the hard work to make the most of the financial opportunities coming your way. Still, this is not a year to take big risks and you might have to wait a little longer to find love too. Use this time to work on your existing relationships. Meditate and follow a healthy lifestyle to cope with the pressures, avoiding excess of all kinds. Love for single Monkeys: Single Monkeys will have to look harder to find true love this year. Be patient and work on any blockages you might have when it comes to opening up to someone. Monkey men will have more luck in love than the ladies, who might fall for a younger mate. 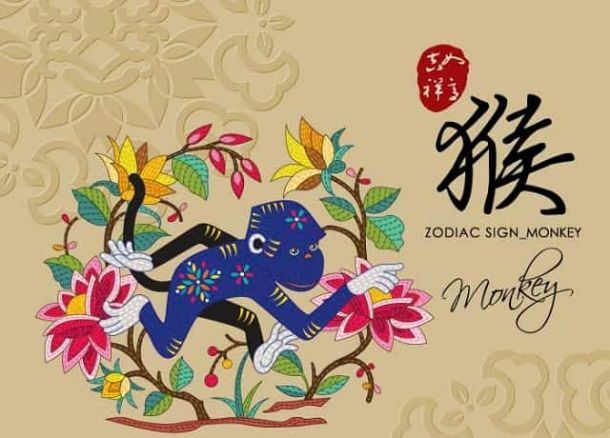 Love for coupled up Monkeys: You and your partner are largely focused on improving your financial situation this year. Consider your financial future and iron out the practical details that make your relationship tick, diligently. Year of the Pig Forecast for you: This is a year to keep a low profile and work away at existing projects and relationships. Diligence and hard work are needed to make the most of money opportunities coming your way.